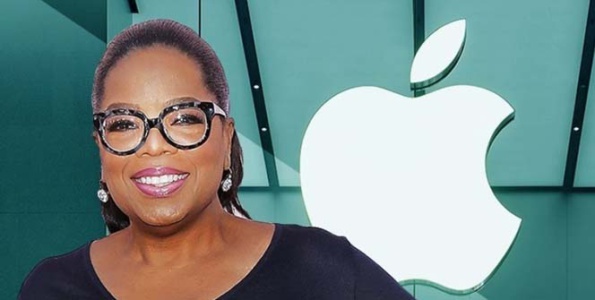 Apple recently announced its multi-year content partnership with Oprah Winfrey, in which she will produce video streaming programs for Apple. The latest talk has it that Apple wants to boost its entertainment market as the company rivals with Netflix, Amazon, and HBO, by bringing on the well-known media name Oprah Winfrey. Many know her for her past daytime talk show “The Oprah Winfrey Show” which debuted in September 1986 until May 2011. During her daytime show airtime other TV personalities that were guest on her show went on to become famous and started their own TV shows such as Dr. Oz, Dr. Phil, and Rachael Ray, just to name a few of the well-known. Not only has Oprah starred in several movies, she is also an executive producer, and founded the cable network OWN in partnership with Discovery Communications. Her latest Emmy winning “Super Soul Sunday” has a connection with Apple as it debuted on Apple podcast as “Oprah’s Super-Soul Conversations,” this series became the No. 1 program on Apple’s podcast. It seems as of now, the specific details of what the audience will expect has not been disclosed, only that Oprah and Apple will create original programs. Stay tuned for more details on when to expect the debut date and time.